Low income households in Pennsylvania can get a cellular plan at no cost. As of March 5, 2019, Pennsylvania Lifeline applicants must first qualify in the National Eligibility Verifier. This means that before you can apply for Lifeline subsidized phone service, you MUST prove your eligibility in the National Verifier Consumer Portal. To do this, you need to visit the National Verifier consumer portal and enter your information into the National Verifier database which will confirm your eligibility. Once you complete the form in the consumer portal, you may return here to sign up (Step 2 below) for this free cell phone service. The link in step 1 above will allow you to apply for eligibility through the National Verifier online. If you are in the PA state database, you could find out that you qualify immediately. If the National Verifier cannot prove your eligibility through its electronic sources, you will need to provide more documents by uploading them to the consumer portal. Your approved qualification in the National Verifier is good for 90 days. During that time, you can apply for Lifeline supported service with us. Our online enrollment process will see that you've been qualified in the National Verifier and will be able to process your application for FREE cell phone service. For more information about the National Eligibility Verifier, visit the USAC Website here. To qualify, you just need to be receiving some form of government assistance like Medicaid, food stamps,	SSI, Federal Public Housing, Veterans Pension, etc. The National Verifier will confirm that you are receiving a qualifying benefit. 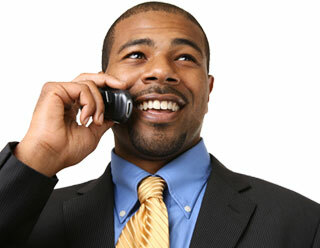 Qualifying customers in Pennsylvania will get 1000 anytime minutes per month and unlimited text messaging. Each month, 1000 minutes will automatically be added and any unused minutes will expire. If you need more minutes, you can purchase them at our reasonable rates. For any added minutes, you pay-as-you-go so there is no bill with any suprises. This plan is made possible by the Federal Lifeline program. Lifeline is intended to make telecommunications affordable to low income households. Reimbursement for Lifeline comes from the Universal Service Fund ((USF). The average benefit is $9.25 but can be more in some cases. If you are enrolled in a Federal or State assistance program or, your household income is at or below 135% of the Federal Poverty Guidelines, you are eligible to receive this subsidy. For more information about Lifeline, visit the USAC Lifeline website. Fill out the simple on-line application and we'll send you a mobile handset right away, ready to use with gov't assisted service.